I finished with a 106 (52 54). Drew shot an 80 (42 38). Drew was a bit unkind. Perhaps because I was calling him "Dale" for the last few holes. In any case, it appears that the MK Hypothesis has been confirmed. 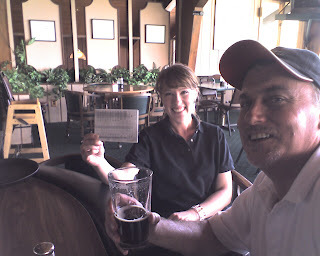 Despite my score, I truly enjoyed the day. Greywalls is a great course. 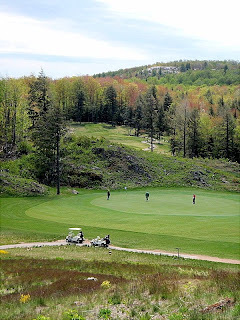 Challenging, a unique venue, beautiful holes, well maintained, and fantastic scenery as the course wends its way through the rocky highland forests above Lake Superior. If you have the opportunity - play this course.